From an early age, Roy T. Mildner knew he wanted to work in the law profession. Growing up he was always drawn to the idea of helping others, and he knew that becoming a lawyer would not only provide him the opportunity, but it would also allow him to leave a positive impact on his community. 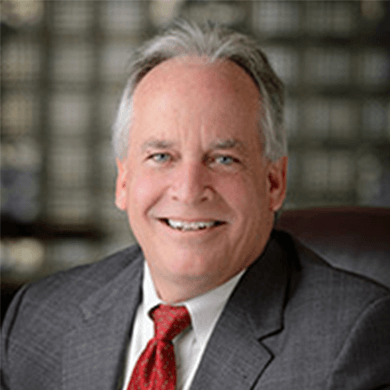 After graduating from The University of Florida in 1982, Roy was immediately accepted into the Levin College of Law, where he would begin his journey toward becoming an attorney. After three years of hard work and a dedication to learning the law, Roy received his Juris Doctor in 1985 and passed the state bar the following year. Roy would spend the next 14 years focusing on business, family, and real estate law -- honing his craft and picking up valuable experience as he helped countless clients through a variety of different legal issues. Eventually, in 2000, when the firm he was working at disbanded, Roy decided to partner with his colleague and friend Glenn M. Blake to start their own firm where they could place a greater emphasis on providing personalized legal service to meet the needs of their clients. I’ve always believed that the interests of my client come first. My job is to make sure your needs are taken care of and I’m willing to do whatever it takes to ensure that happens. So in 2000, Roy T. Mildner and Glenn M. Blake opened the doors to Mildner & Associates, P.A -- an experienced firm that could offer clients across the Treasure Coast of Florida the highest level of legal services and representation. With a staff that carried experience in family law, personal injury, trial litigation, business and corporate law, real estate law, and more, Mildner & Associates, P.A. could now offer a wide variety of legal counsel and services that could better serve the residents of Fort Pierce, Florida and the surrounding areas. Now, 18 years after opening the doors to the firm, Roy has successfully represented a number of clients, helping them navigate a myriad of complex issues across the legal spectrum. He's built a proud reputation as a fierce negotiator and an excellent litigator. His ability to think outside-the-box and get creative with different challenges has enabled him to assist a number of clients who felt trapped and out of options. It's that kind of service that originally drew Roy to the law profession, and it's what drives him to continue coming to work every day over 30 years later. His passion and commitment to helping others in need remain as strong as it was the day he entered law school, and he is proud to put his knowledge and experience to work for you.